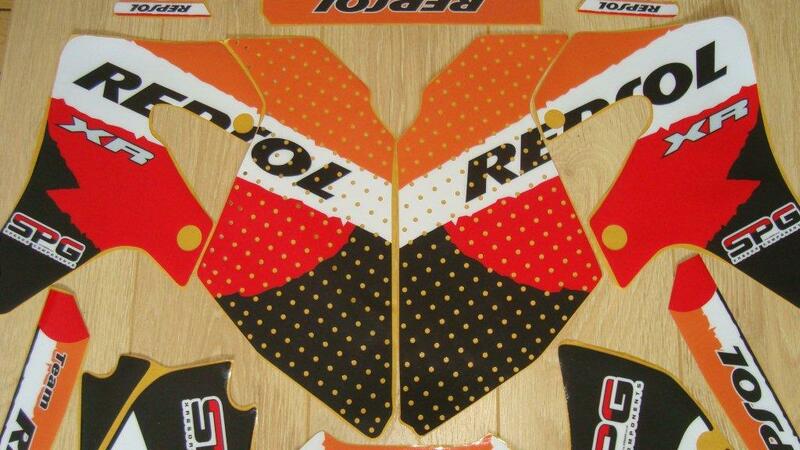 See below for matching seat cover. 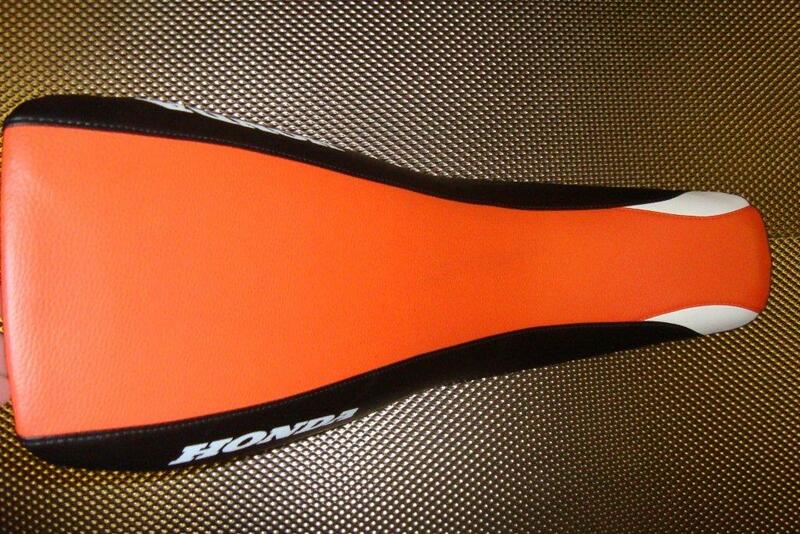 These are made to a fantastic standard, the orange from the tank runs straight through the seat and down the back mudguard. 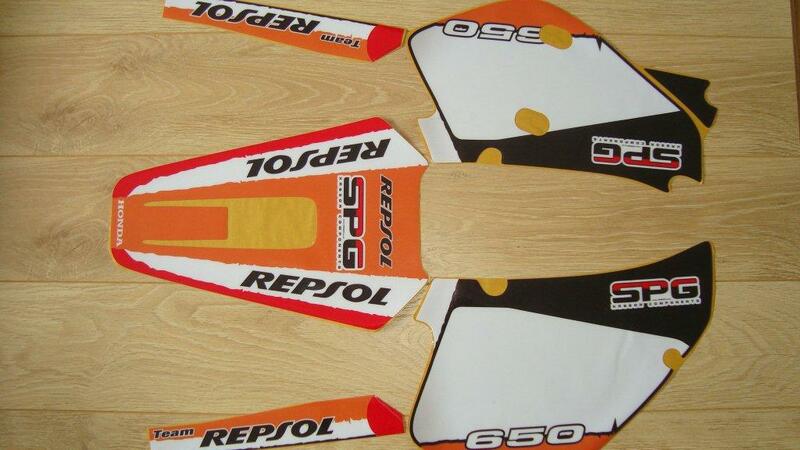 The black on the seat matches in with the side panels and also the tank, the white Repsol on the tank and shrouds runs into the seat cover. 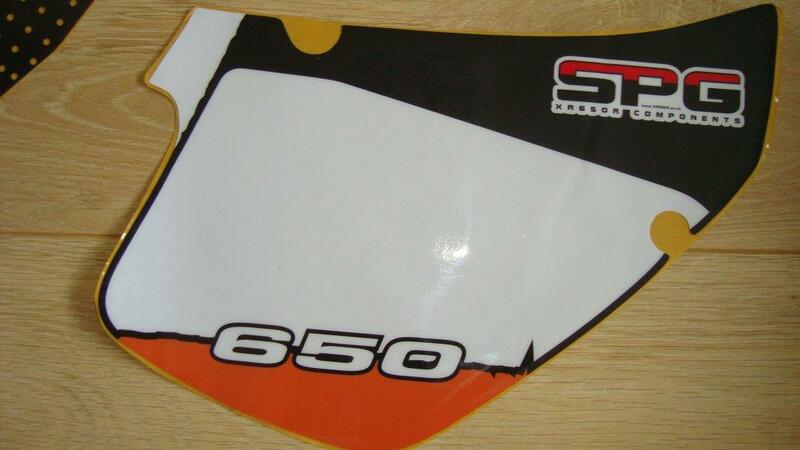 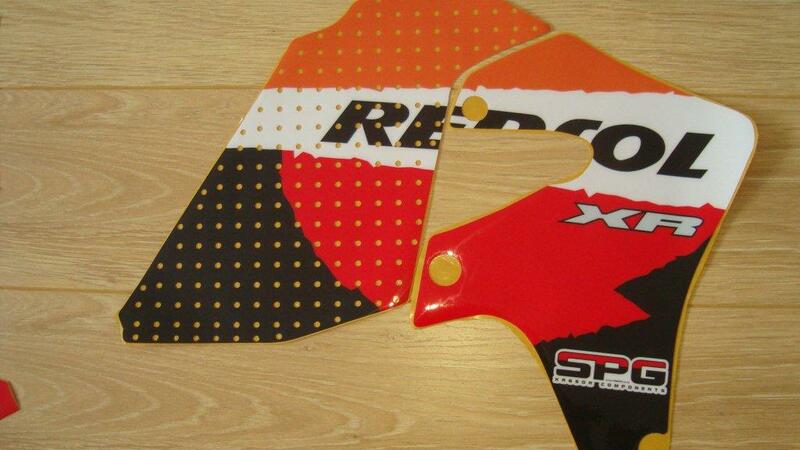 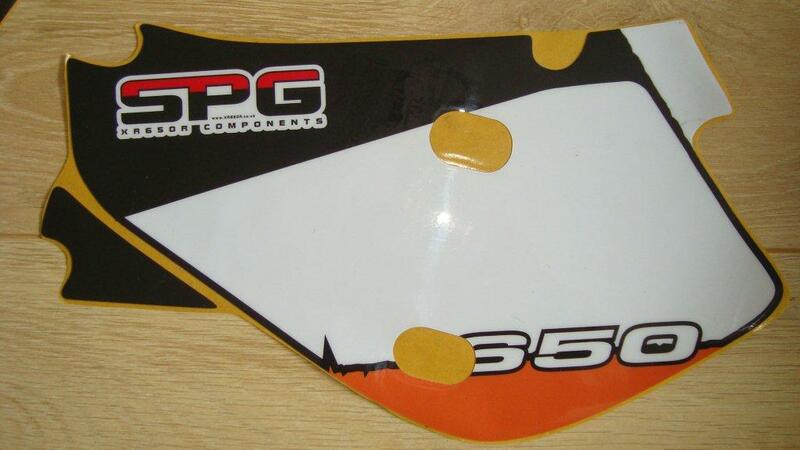 These graphics have never been produced for the XR650R before. 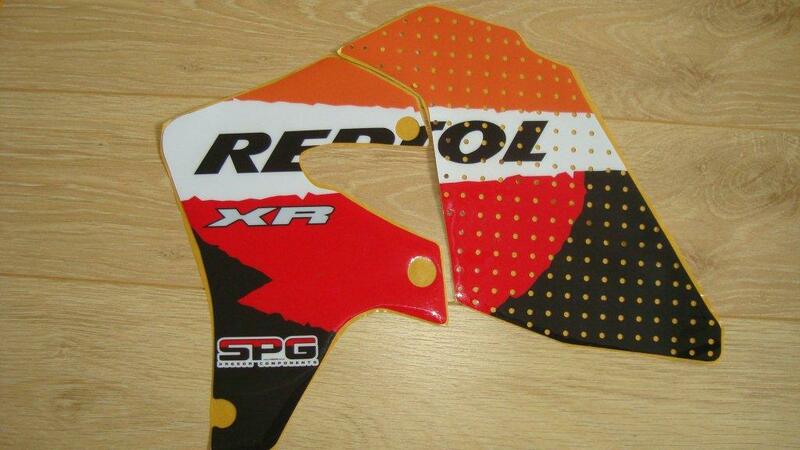 We think this is the best body kit fitted to an XR. 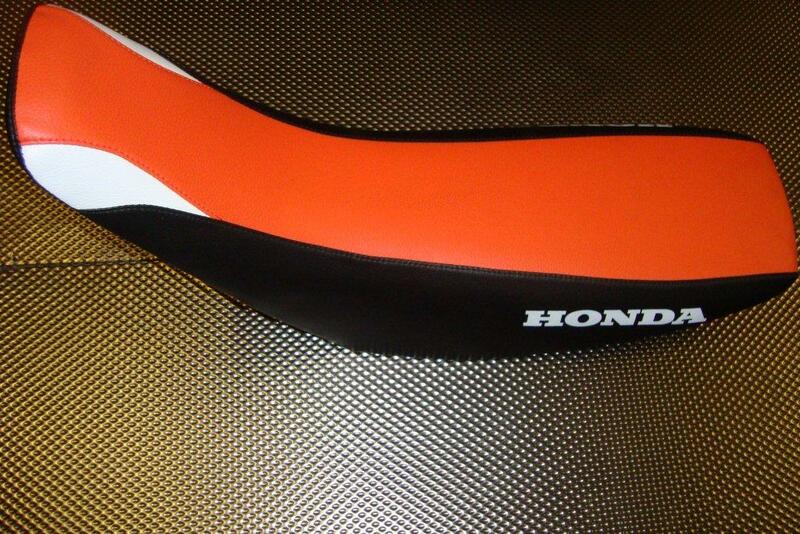 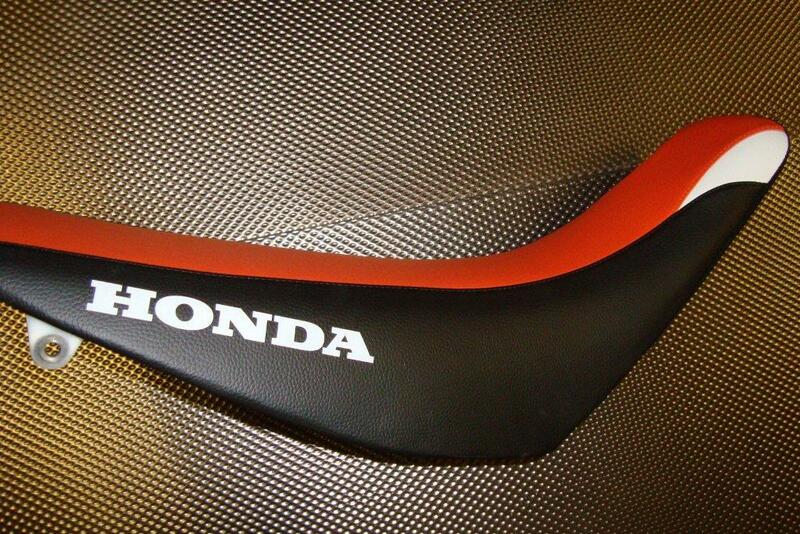 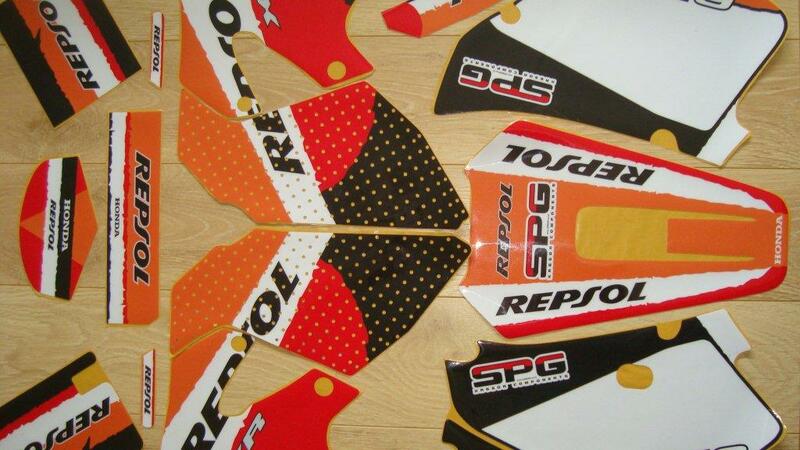 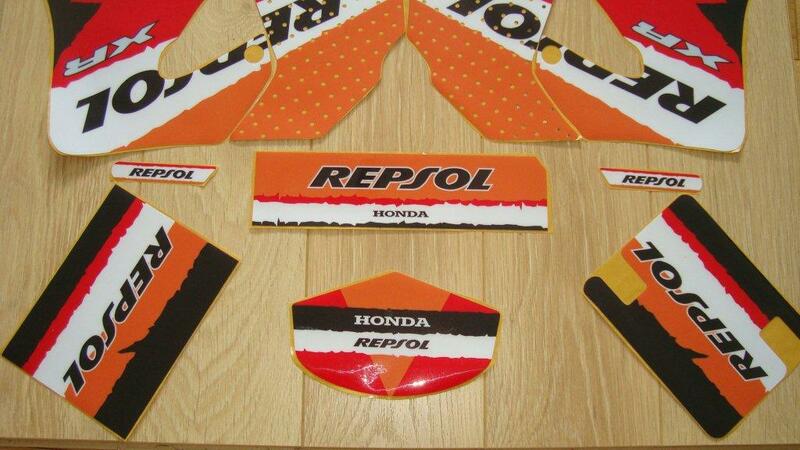 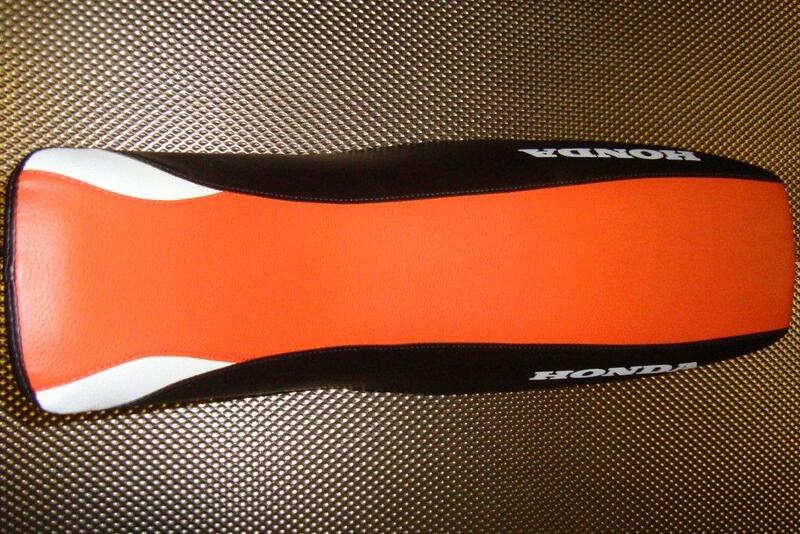 Seat cover to match the Repsol body kit above ~ Double Stitched the pictures really do speak for themselves.